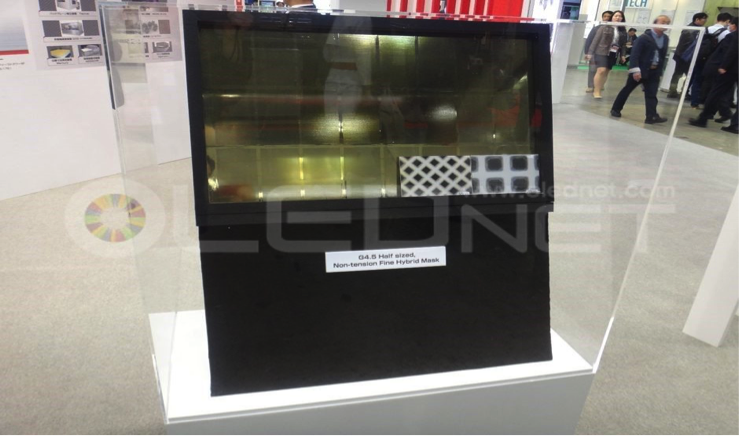 V-technology said it would establish an ‘organic electronics business demonstration facility’ in Yonezawa, Yamagata Prefecture to develop a fine hybrid mask (FHM), which is the next-generation deposition mask for OLEDs, and next-generation deposition technology. The total investment is planned to be about 5 billion Japanese yen for two to three years. The facility is scheduled to be completed in August, 2018 and the mask samples are to be shipped from October, 2018. V-technology’s FHM adopts the electroforming method and non-tension structure which is different from conventional FMM manufacturing method. The weight of the mask produced by this FHM method can be reduced to one tenth of the conventional mask. As the weight decreases, the problem of mask sagging due to its own weight, which causes the uniformity problem is mitigated. V technology’s Fine Hybrid Mask (FHM) that can implement 738ppi UHD can be seen at Finetech Japan 2017 in April 2017. V-technology also announced that it has reached a basic agreement to transfer the all the shares of Lumiotec, a OLED lighting panel company. 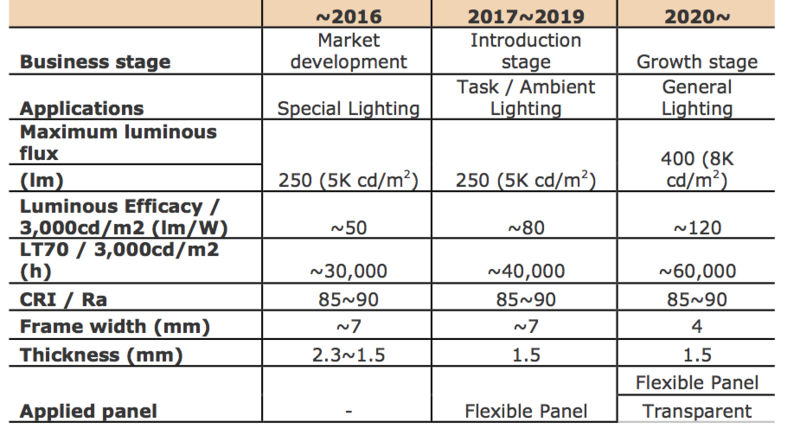 Lumiotec, an early entry into the manufacture of OLED lighting panels in Japan, has supplied a number of OLED lighting panels for indoor use and exhibition use in addition to indoor lighting. Lumiotec was established on May 28th, 2008 as the world's first company specialized in the development, production and sale of OLED panels. Its Gen 2 Yonezawa factory began operations in 2009 and has a production capacity of 60,000 panels per year (based on 145mm square panels operating 8 working hours a day). The stock transfer is scheduled for April, and information such as the transfer price was not disclosed.